“The down-to-earth guide that takes you through the vegetable year” – Signed by the author! I’ve been growing vegetables for 40 years and you can share my knowledge and experience. Growing your own gives you control of your food. You know what has gone into producing the crop and what hasn’t been sprayed over it. New vegetable growers were looking for a simple, straightforward guide, written in plain English, that told them what to do, when to do it and how to do it. This is what I have tried to provide here. Even if you are not lucky enough to have a large garden or an allotment, you can still grow some vegetables on a patio or even on a balcony. There’s a comprehensive section on growing in containers and pots. A discussion on the reasons for growing your own and the benefits of growing your own. 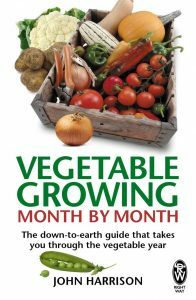 The places you can grow vegetables, a comprehensive section on Container Growing, Raised Beds and how to build them, Preparing the Soil, clearing a new patch or allotment, Know Your Soil – the different types of soil, Why, When and How to Dig – single digging, double digging, trenching etc, no-digging, Drainage and how to drain a wet plot. 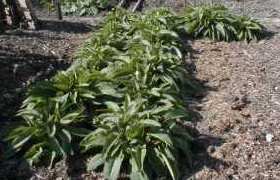 The worst weeds and how to handle them, hoeing, organic methods and weed killers. The tools you actually need and the tools you may want with how to pick them and what they are used for. Powered Machinery, chippers and shredder, rotovators and tillers. A guide to what to do month by month in the garden. Surprisingly in 12 sections! From January to December. Gardener’s have their own jargon and specialist words, hence a short jargon busting glossary. 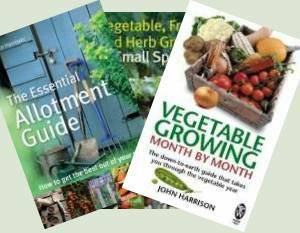 “Having just received John Harrison’s book On Vegetable Growing Month by Month, I have to say that it’s definitely going to be a well thumbed volume, particularly by those who want to grow vegetables for the first time. Forget about any glossy pictures, what’s in this book is solid words of advice, written in plain to understand English from a grower who’s had frustrating years of experience behind him in trying to grow nutritious vegetables, whilst at the same time running a business and raising a family. 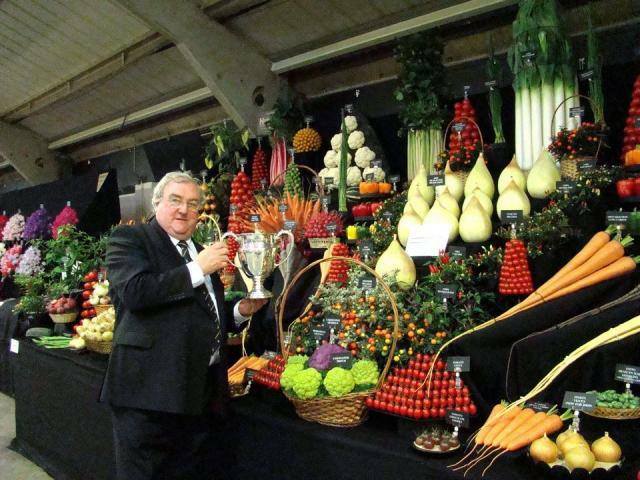 Medwyn Williams MBE FNVS – President of the National Vegetable Society. Winner of more than 10 RHS Gold Medals at Chelsea for vegetables. It does exactly what it says on the cover,a good down to earth guide which will be a great book for new and experienced gardeners alike. Just the right size to take out to your veg plot. John’s book offers down to earth advice in a friendly chatty way, keeping an eye to simplicity (and the “have a go spirit”) but also offering useful knowledge to help ensure success. A wealth of information in a book small enough to be brought to the plot for on the spot reference. Highly recommended! This book is the most helpful tool in my garden shed. My hoe is a close second, but this book covers so much and I have a constant bookmark on the current month to be sure I am doing what needs to be done, and then flick forward every few weeks to check what is coming up. The books main body is divided up into the different months with the tasks that should be done outlines. One of the features I love – apart from the great little monthly drawing of an allotment going through the yearly cycle – is that every month it tells you what you ‘could be’ eating. This is great inspiration to plant more, which in my book is a positive influence.